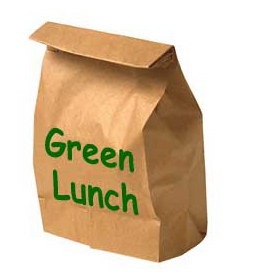 Take a “no garbage” lunch to work or school. That’s exactly what it sounds like – a lunch that leaves you with no or very little garbage to throw away when you are finished. Save your brown paper bag and re-use it. Carry a reusable container. If you cut your sandwich into four pieces, it can fit inside a container. Buy snacks in large packages instead of small individual ones and pour them in small containers. This a lot less expensive than buying pre-packaged snack bags. Pick snacks that are healthier and have their own natural wrapping such as bananas, apples, oranges, etc. And finally carry your milk or juice in small thermos or buy drinks that come in recyclable containers. This information is also available in Spanish on our website.